Little Wonders Montessori Childcare and Preschool: As in any growing community, quality and accessible childcare is a priority. For this reason, Auguston is pleased to be home to an excellent childcare and preschool center. Little Wonders Montessori Childcare and Preschool Auguston offers educational programs for children ages 0-12 and is fully licensed. Our Centre has been licensed by the Community Care Facilities Licensing Board to care for children aged 0 – 12 years. We currently have an infant and toddler program for up to twelve children ages 0-3 year (3 staff) a daycare program for up to 20 children ages 3-5 years (3 staff), a preschool program M/W/F or T/Th for 10 children in each class (1 staff) and a school age care program for 12 children ages 5-12 years (1 staff) picking up and dropping off at Auguston Traditional School. In addition to being fully licensed, the Centre is located in a quiet residential neighborhood. Inside is air conditioned, clean, bright, and attractive, providing several indoor play structures designed to encourage imaginative play. Outside there is a playground as well. Fortunately, a beautiful facility is not the only thing offered at Little Wonders Montessori. At Little Wonders Montessori, we strive to offer a Montessori education in a safe community where children are encouraged to reach their full developmental potential. Little Wonders Montessori is committed to the academic, physical, and social growth of each child, which is the foundation of our educational approach. 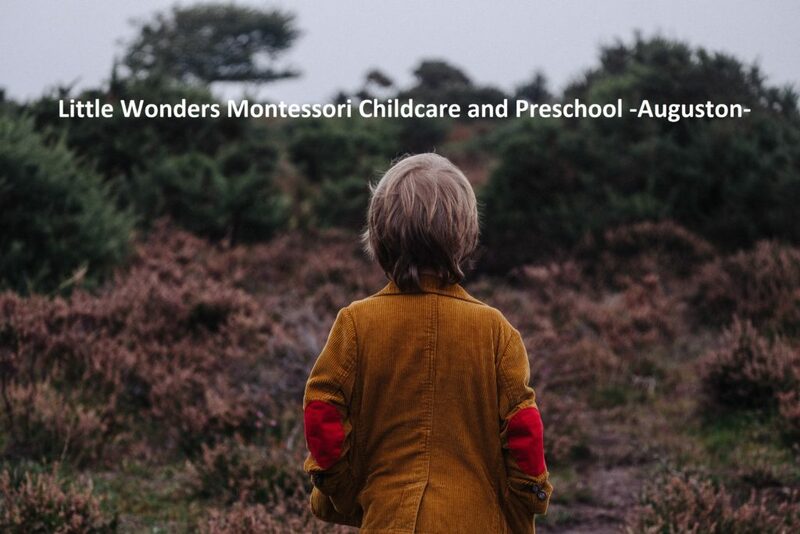 If you are considering Auguston as an ideal place to raise your family and are in need of quality accessible childcare, take a look at Little Wonders Montessori Childcare and Preschool Auguston.